Grease was a huge success as a Broadway musical prior to hitting the big screen in 1978. That was the version that transformed Grease into a phenomenon -- it was a runaway box office success, and then became a TV, cable, and video favorite. The soundtrack rivaled its film counterpart as a pop culture perennial, and it's not hard to see why -- its good-natured pastiche of doo wop and early rock & roll is infectious and charming, due in no small part to John Travolta and Olivia Newton-John's charismatic, engaging performances. They sing the majority of the originals -- "Summer Nights," "Hopelessly Devoted to You," "You're the One That I Want," "Sandy," "Greased Lightnin'" -- which were the reason why the film and soundtrack became blockbusters. The fact that the originals hold up better than the '50s tunes is largely due to Sha Na Na's workmanlike performances, but the originals are so giddily enjoyable -- not only the quintet mentioned above, but also Frankie Avalon's "Beauty School Dropout," Stockard Channing's "Look at Me, I'm Sandra Dee," and Frankie Valli's title track -- that everything works. 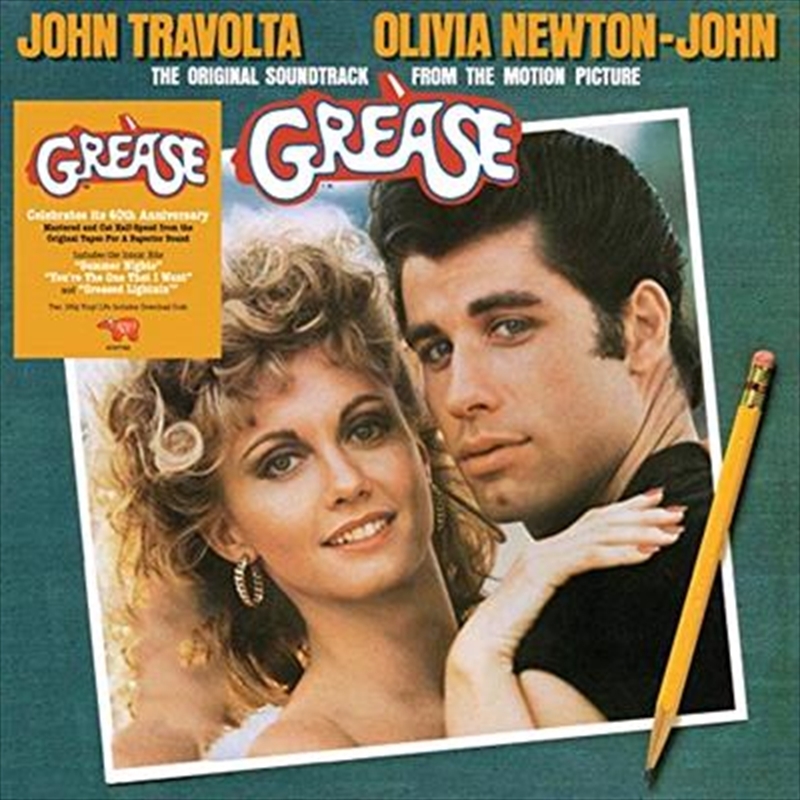 Some listeners may prefer the Broadway cast recording, but the fact of the matter is, the sleek pop production the movie's soundtrack boasts and the cast's enthusiastic performances go a long way in making this Grease the definitive Grease.